Every single race medal we earn tells a story! No two races are ever the same…EVER! I can pull any medal off of my rack and tell you a story about that race day. How I felt, where I was, the emotions and thoughts I felt when I was there, how I felt at the finish line. They are small chapters in my personal novel that is my life. Racing is a part of who I am. My life has other wonderful chapters and stories within it. 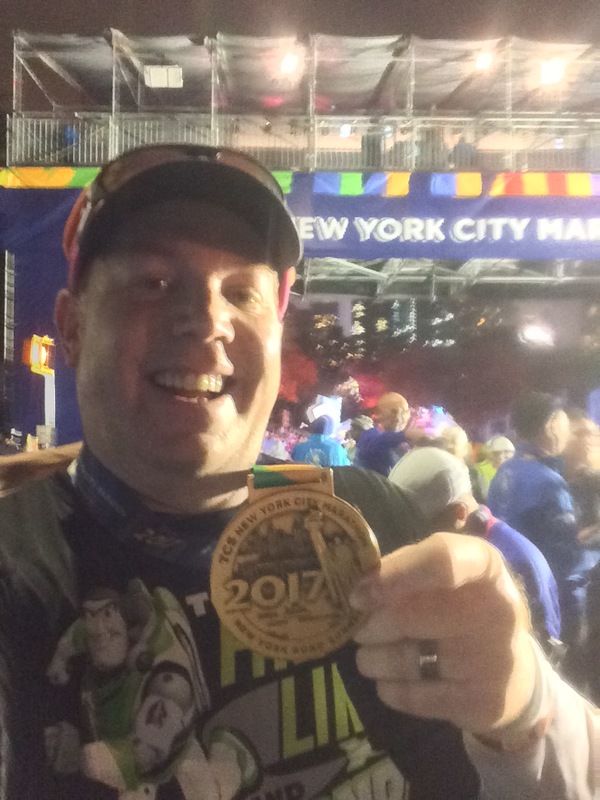 But when I sit back and I look at how seemless the pages fit into the book, how the impacts of running have changed my life and the lives of others….THAT is a masterpiece. Tomorrow is not a promised day for anyone. When we leave to move on to the next stage of life, what is the legacy you want to leave behind? Not to be morbid, but it’s gonna happen. I want my novel to be a Pulitzer Prize winning, New York Times Best Seller piece of literature. Sure, I am not perfect. No, I don’t know all the answers. Yes, I’ve screwed up. And the meaning of life is ’42.’ But what I do know for a fact is that we all have an obligation to ourselves first to be the best people that we can be. You will stumble. But it’s in how you recover. Grace. Love. Dignity. Respect. Such true words. As the year progressed, I would learn how true it is. At my church, our pastor has recently released a book entitled The Artisan Soul: Crafting Your Life into a Work of Art. If you’d like to purchase this book, feel free to look for it at any of your local book sellers or on Amazon.com. As we’ve been going through the book, so much is popping off the pages at me. The words are ringing true not only of my journey towards becoming a runner, but the journey of life itself. Whether you’re a couch potato who longs to run a 5K, 10K, Half Marathon, Full Marathon, or God forbid an Ultra Marathon, to get to those goals requires us to change the narrative of our lives. If we’re not used to exercising regularly, there will be obstacles to conquer that are not merely physical. Finding the desire day in and day out is NOT easy. In The Artisan Soul, Erwin McManus says, “To find our own voice, we must first wrestle with the voices inside our brains. Some of those voices could hold us captive the rest of our lives. Some of those voices, if we choose to give them power over us, will make us become less and less as we listen to them more and more. Some voices inside will silence our souls and leave us without a language to express who we really are. To find our own voice, we must be willing to let our souls go silent. Finding our own voice may take the greatest courage we’ve ever mustered.” (Chapter 2, page 43) As I’ve embarked on the journey that has taken me across the finish line of many 5K’s, 5 10K’s, 4 Half Marathons and 1 Full Marathon, I’ve battled those voices that tell me things like…I’m too tired…I’m too overweight…I can’t finish this training run…There are too many miles to the finish line…and on and on it goes. What kept me from giving up in the failures? A belief that God had called me to be something more than I was. That my dream of finishing a marathon was one he had placed deep inside of me. If he placed that narrative inside of me, then I believed he would take those failures and make them into something beautiful. Earlier in The Artisan Soul, we see that “This path is not an escape from life’s wounds and disappointment. To live from our souls is to pursue our greatest passions and expose ourselves to our greatest pain. We cannot live to create and be surprised that we have traveled through failure. We cannot live a life of passion and not know sorrow. To pursue a dream is to invite a nightmare! To live a life of love is to know betrayal and loss. The soul is both fragile and resilient.” (Chapter 1, page 35) If you want to change the narrative of your life, you need to be prepared for failure and embrace it as a learning exercise. 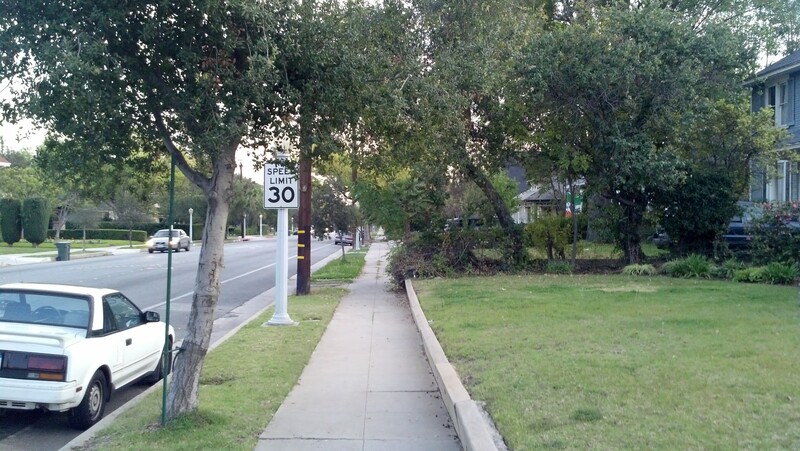 I cannot tell you how many times, I’ve gone out for a run not knowing how it would turn out. 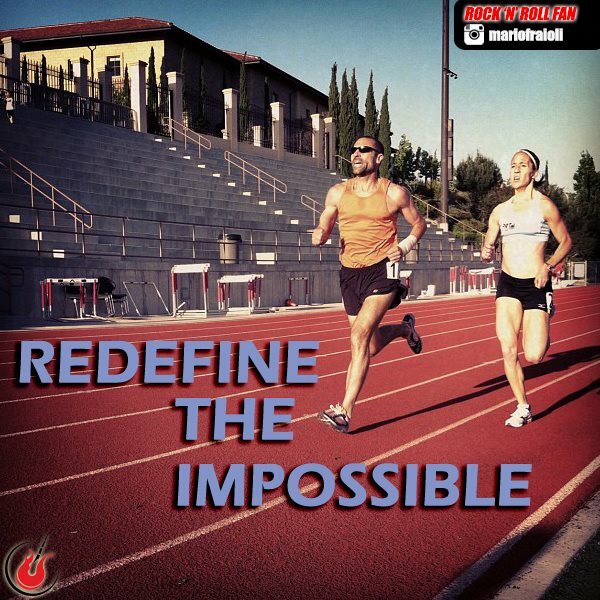 So many times, the goal was simply to finish the miles…no matter what it took. The lessons I’ve learned can be applied to so much in life. As I journey on past becoming a marathoner, these words ring so amazingly true. They were true as I pursued becoming a runner and they are just as true today as I continue on in sustaining this new identity. Last year, I re-wrote my narrative. This year, the challenge is to live in that new narrative and continue growing. Since the Surf City USA Half Marathon, it has been a struggle to find the motivation I need to keep training. I had decided not to run in the Knott’s Coaster 5K run this year because I felt like I needed a month to start without a race in it. However, I’m now wondering if that was the best decision because the pressure of another race has been taken away from me and I’ve totally slacked off. Now, I’m paying the price of missed runs and gym workouts. Last night, I got out and intended to run 6 miles. It was awesome to be out and running at night with it still light outside! What I love about the time change is that I get home from work before it gets dark. So, I saw the above at the start of my run. 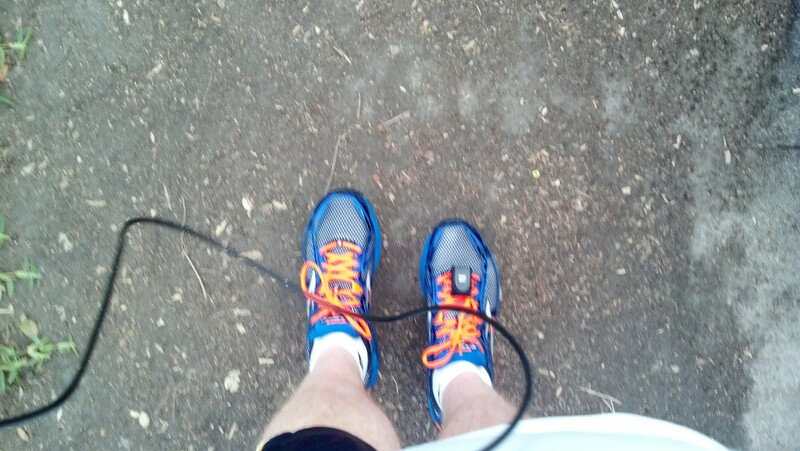 I even got to run in my new shoes for the first time! I’m not gonna lie. It was a difficult run. Everything felt much harder than I was used to. However, running once or twice a week for several weeks will do that to you. However, after watching the Los Angeles Marathon over the weekend and what I’ve read in The Artisan Soul, I really wanted to get out and try. 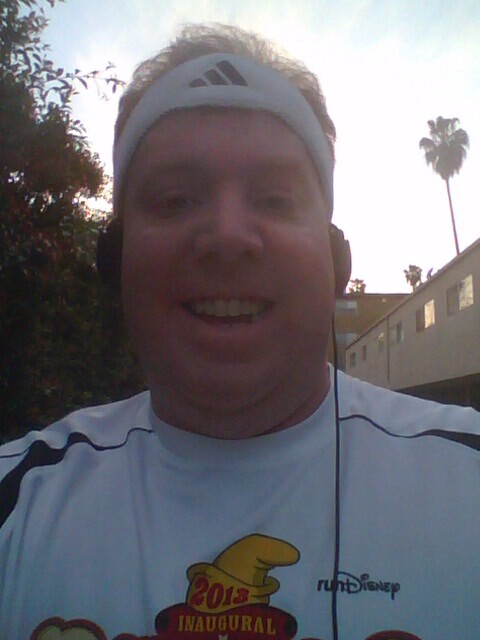 To top all of that off, the Hollywood Half Marathon is coming up quickly. So, the pressure is back on. As hard as it was, I was keeping to my intervals. However, at around 2.6 miles, my back started hurting. 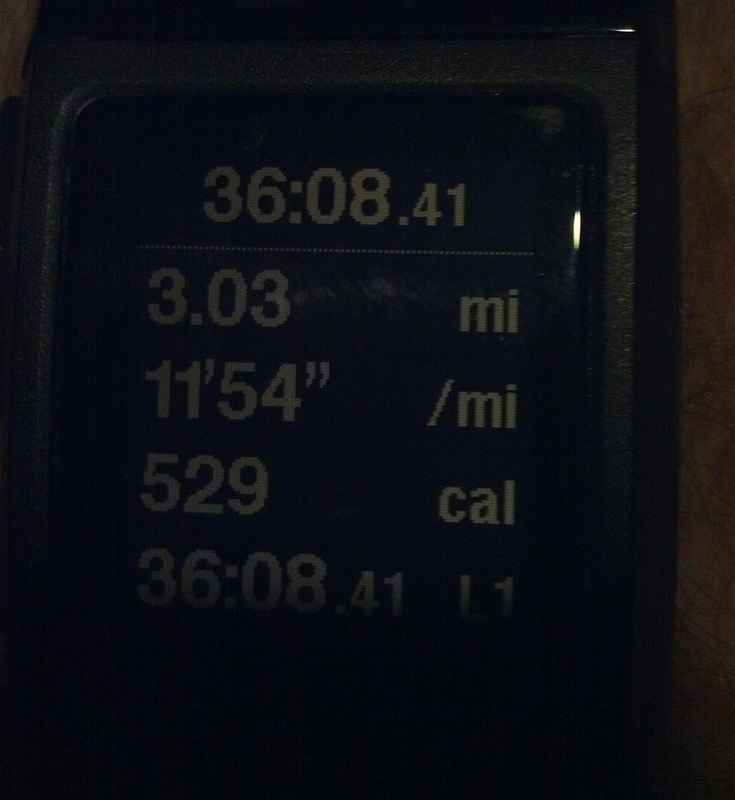 I managed to finish 3 miles, but the pain told me it was time to call it a day. Here’s what the Nike Plus web site showed of my run. As disappointed as I was at having to call it quits after only 3 miles, I realize that the journey is long. My body was telling me that it wasn’t up to 6 miles last night. So, I chose to live to fight another day. That’s okay. What I need to do in order to keep this narrative of my life as a runner going is to keep moving on and not let the effects of this workout deter my mission of being a better runner. For this workout, I’ll accept slow. From here on out, I’m planning on ending my postings with a screen shot from the workouts that I finish. I’m viewing it as an accountability thing. A line in the sand needs to be drawn. I can listen to my former self and be content with finishing a full marathon, only to move on life. Or, I can keep the changing narrative in my life moving towards solidifying my identity as a runner. For now, I’m choosing the latter. It will be a gym workout tonight. I hope y’all have a great day today. Where are you at in life? Is the narrative needing a change? 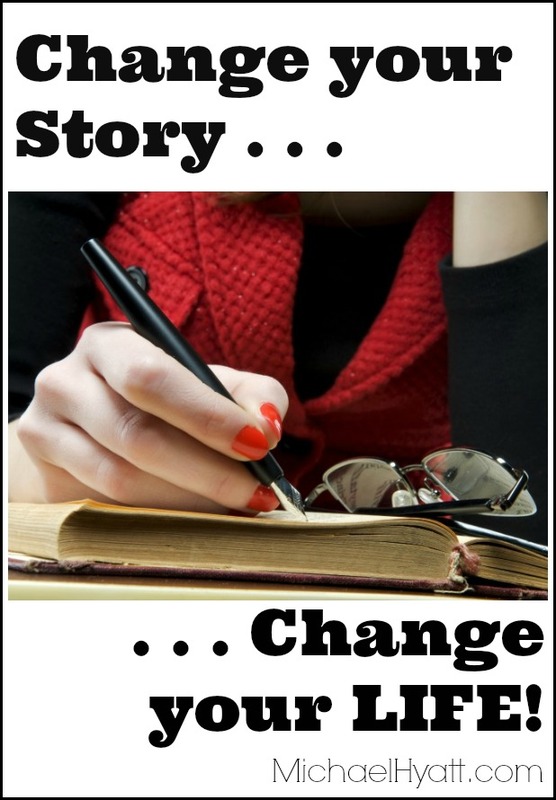 Or are you working on solidifying the current narrative?